The Old Storehouse and its surroundings. 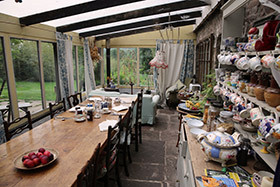 The house is in the Usk valley (MR SO 086258 OS Explorer 12, sometimes marked as a museum), four miles south east of the small market town of Brecon. 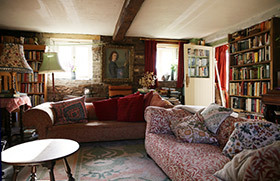 It is a curious mixture of new and comfortably worn, with low ceilings making it seem rather old fashioned. The house creaks from time to time, but this, and the birdlife, are often the only sounds in the deep peace of a Welsh National Park - except for summer bank holidays. Rooms are often not ready until around 4pm but you’re very welcome to arrive when you like, drop off bags, use the loo and have a cup of coffee. Equally, there is no set time for you to leave at the end of your stay and while you are here you can stay in the house or garden all day if you wish. The house has secure bicycle storage and unsophisticated drying facilities. 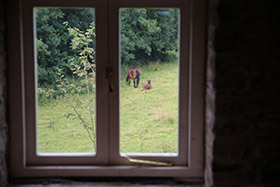 Across the valley are the foothills of the central section of the Brecon Beacons and paths lead directly from the house. 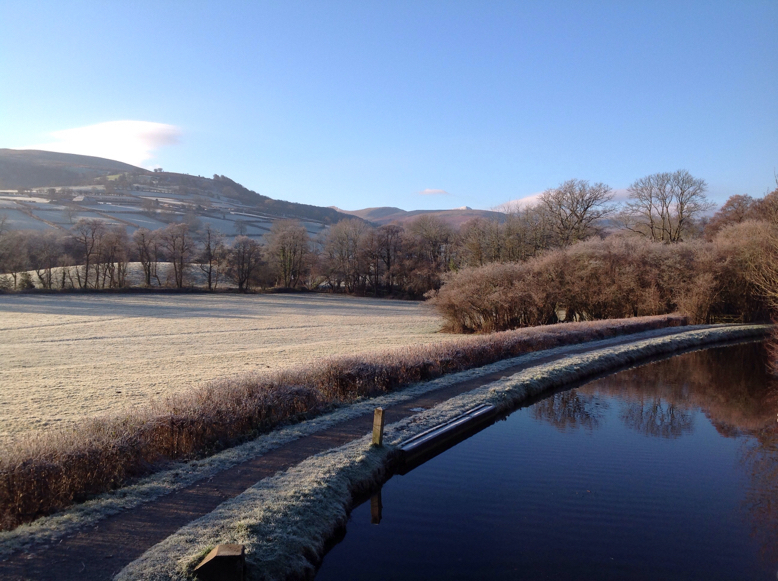 There is also gentle walking along the canal towpath (all 32 miles of it). There are cold streams and the warmer river Usk to bathe in, or a local swimming pool. If you want sea bathing the Gower peninsular with its unending sands is just over 40 miles away. Hay-on-Wye for books and walks in the eastern section of the Beacons is 16 miles. Go on a Thursday - the tiny market is a delight.